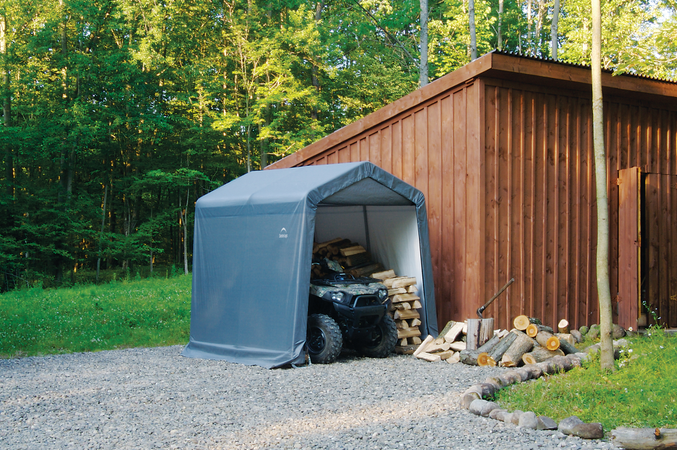 Structure requires no building permits in most cases. 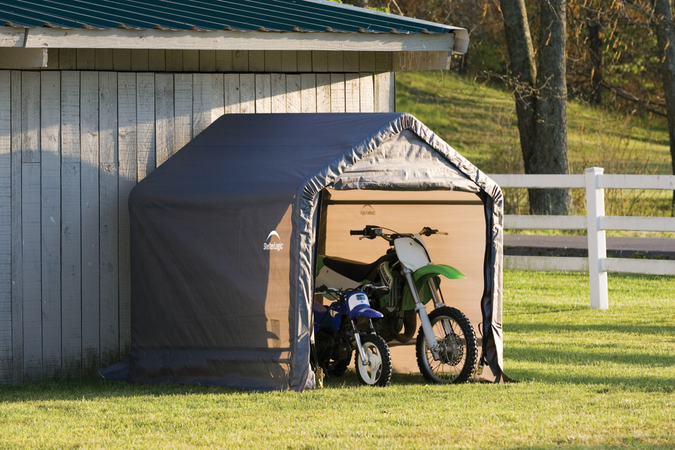 Check local ordinances before installation. 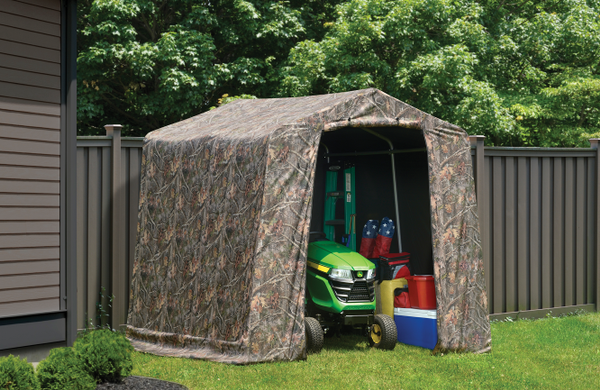 Advanced engineered triple-layer ripstop polyethylene cover is waterproof, UV-treated inside and out with added fade blockers, anti-aging, antifungal agents. 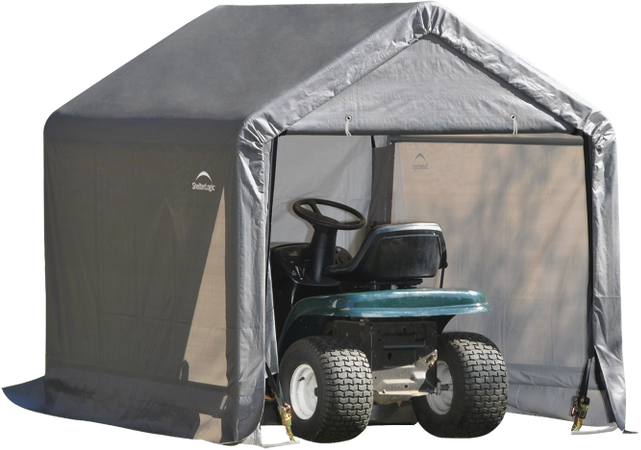 All-steel frame, bonded with thermoset premium powder-coated finish prevents chipping, peeling, rust and corrosion. 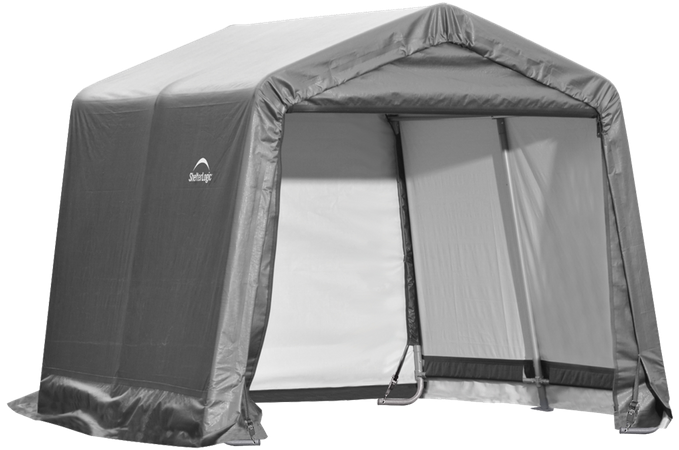 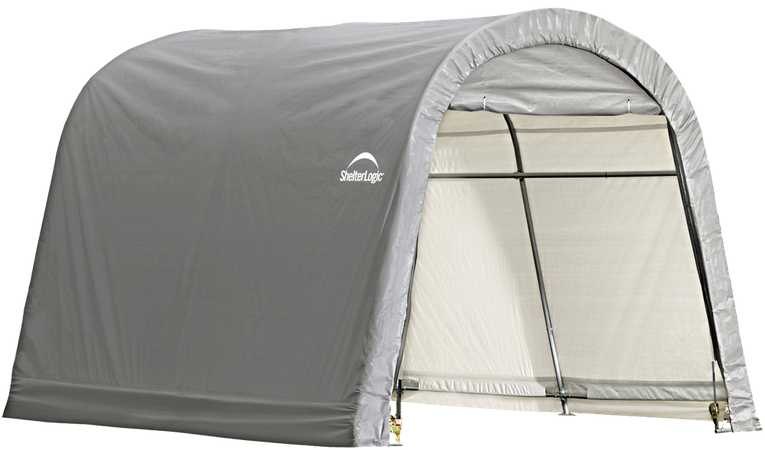 Patented ShelterLock® stabilizers ensure rock solid stability, delivers a stable, more durable shelter. 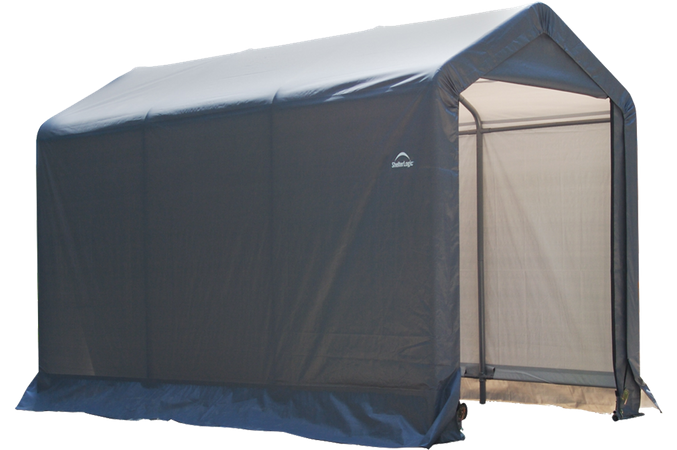 See products below for specifications and warranty details. 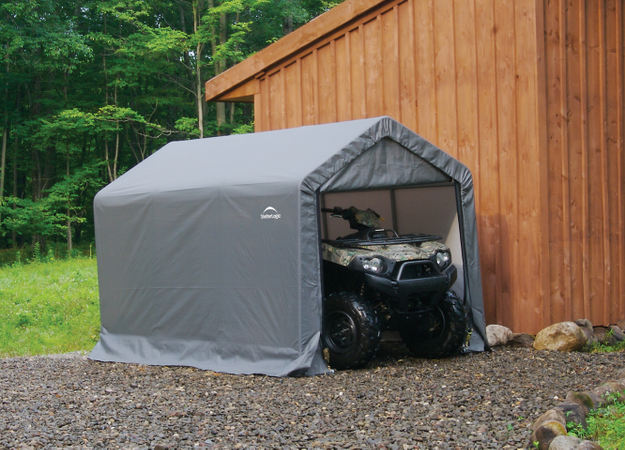 Peak style 6' polyethylene grey shed-in-a-box in three different size variations. 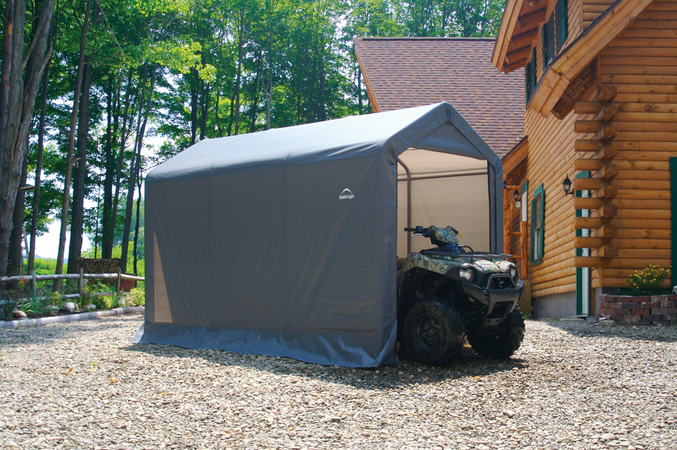 Peak style 8' x 8' x 8' polyethylene grey shed-in-a-box with double-zippered doors. 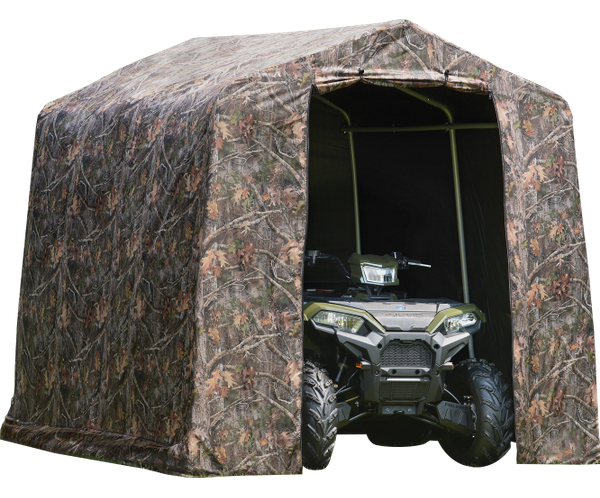 Peak style 8' x 8' x 8' polyester with TruTimber™ camouflage print shed-in-a-box and double-zippered doors. 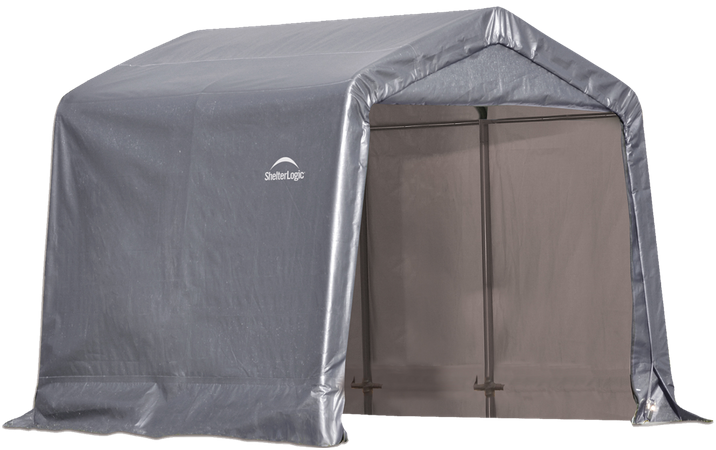 Peak style 10' x 10' x 8' polyethylene grey shed-in-a-box with double-zippered doors. 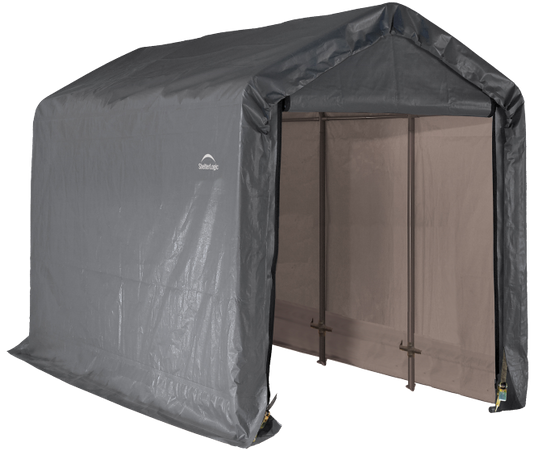 Round style 10' x 10' x 8' polyethylene grey shed-in-a-box with double-zippered doors. 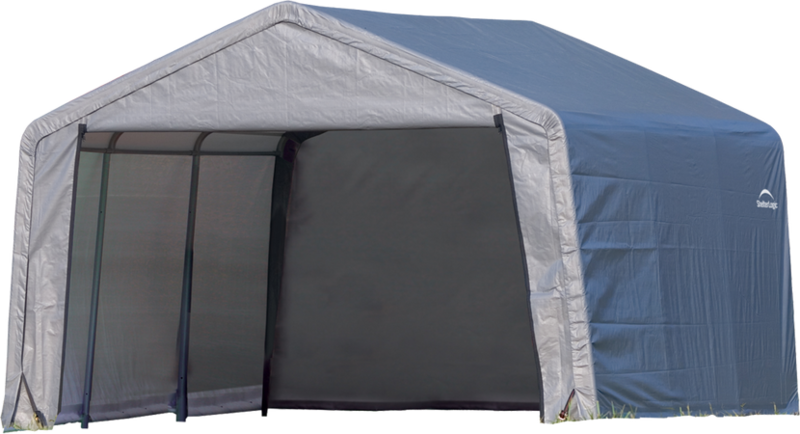 Peak style 12' x 12' x 8' polyethylene grey shed-in-a-box with double-zippered doors. 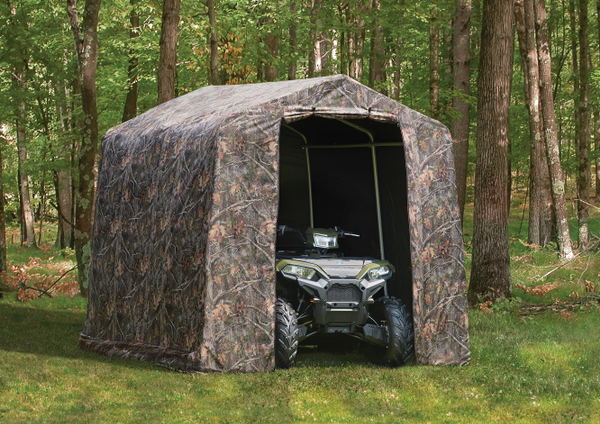 10 x 10 x 8 ft. 10 x 10 x 8 ft.
12 x 12 x 8 ft.